Exclusive - DCL Shipboard Credit up to $1000! Exclusive - DCL Gift Basket! 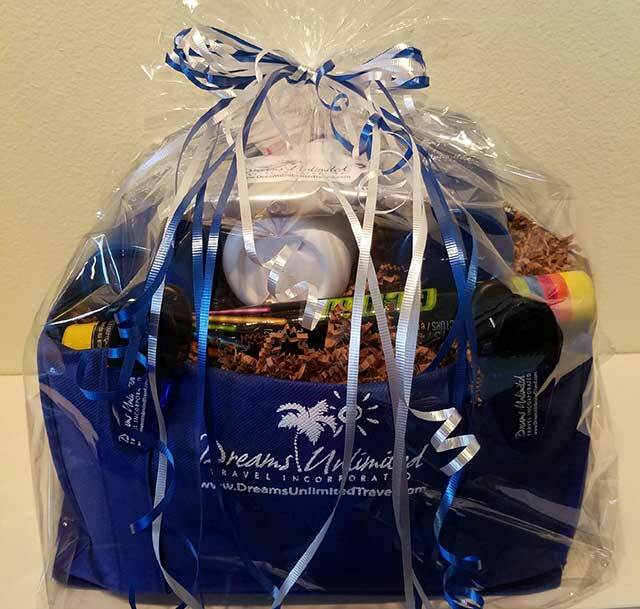 Exclusive Dreams Unlimited Travel Gift Basket! Book your Disney Cruise Line vacation through Dreams Unlimited Travel before and receive our exclusive, complimentary Gift Basket. This Gift Basket is a result of client feedback as well as posts from DISboards.com; we call it our “What you didn't know you needed on a Disney Cruise Kit”. Terms and Conditions: Gift baskets are mailed to Dreams Unlimited Travel clients booked on any Disney Cruise Line sailing approximately 2 weeks prior to sail date. Gift baskets are mailed only to clients with a valid U.S. or Canadian address. We cannot mail gift baskets to clients with an address not in the U.S. or Canada. All clients are welcome to pick up their gift basket at our Welcome Center in Port Canaveral Florida with prior notice given to your Dreams Unlimited Travel Agent. Limited Time Only!! Incredible Disney Cruise Line Shipboard Credits! That’s right – if you make your Disney Cruise Line reservation with Dreams Unlimited Travel you’ll receive these incredible shipboard credits to spend on your cruise! *** Shipboard Credit - Terms and Conditions: Valid on all new Disney Cruise Line reservations booked directly through Dreams Unlimited Travel between now and . Travel must be completed by 12/31/2020. Shipboard credit amount is based on total amount of reservation with Dreams Unlimited Travel including taxes, transfers, trip insurance and pre- and post-night stays added to a Disney Cruise Line reservation (does not include pre- and post-night stays booked through Disney outside of a Disney Cruise Line reservation). Shipboard credit does not reflect pre-paid gratuities or other amounts such as gifts placed on room folio. This offer cannot be combined with any other shipboard credit or discount offer from Dreams Unlimited Travel including, but not limited to, those associated with group space or previous rebate and/or shipboard credit promotions. This shipboard credit offer excludes any $99 DCL bounce back offers. This offer can be combined with the Disney Visa shipboard credit promotion if available and/or with the discount/shipboard credit from onboard bookings. Shipboard credit has no cash value outside of a Disney Cruise Line sailing and must be used while onboard the actual sailing booked. Any unused portion of shipboard credit reverts back to Dreams Unlimited Travel. No portion of the shipboard credit can be issued as cash, check or refund. This offer cannot be applied towards any active reservation booked, or any reservation priced, through Dreams Unlimited Travel prior to . If you booked your DCL reservation within the last 30 days, Email us to see if we can save you money or apply a Shipboard Credit! *Deposit paid. Not paid in full. Other Restrictions Apply. 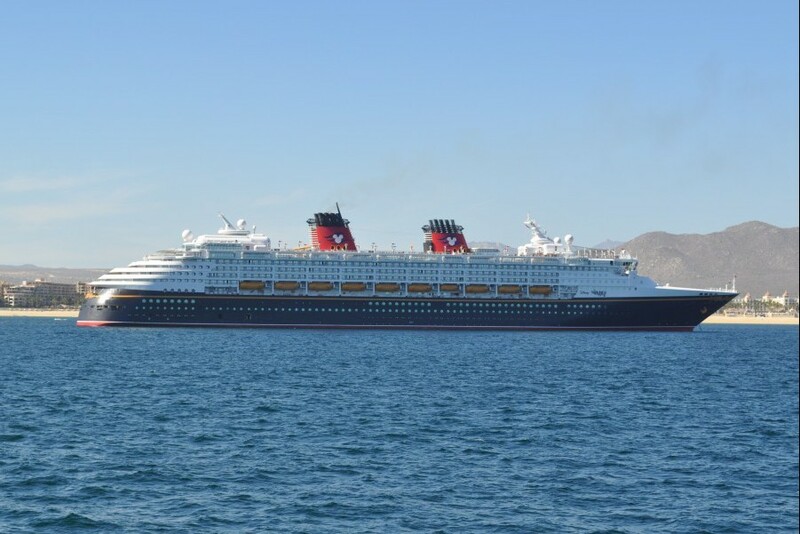 Discounted Disney Cruise Line Sailings! $2,380 per person, based on double occupancy. Taxes, Fees and Port Expenses of $183 per person not included. $1,834 per person, based on double occupancy. Taxes, Fees and Port Expenses of $183 per person not included. These select special cruise rates are available for a very limited time. These rates change often and can go away very quickly! *Rates are all based on double occupancy. Rates in U.S. dollars. Offer is subject to availability. Rate subject to change at Disney Cruise Line's discretion. Other restrictions may apply. Excludes Government Taxes and Fees. Gratuities and excursions are not included. This offer can be combined with the Dreams Unlimited Travel shipboard credit offer for up to an additional $1000! There are currently no discounts available for DVC members. Canadian Residents Can Save 25% on Select Canadian Cruises Departing in 2019! Canadian Residents can escape on a voyage aboard Disney Cruise Line on select departure dates in 2019. Sail from cosmopolitan Vancouver—yours to explore before or after your cruise—along the scenic Inside Passage and through the magnificent fjord of Tracy Arm. You’ll also call upon the historic mining and fishing towns of Skagway, Juneau and Ketchikan and enjoy 2 days at sea to take advantage of the many onboard amenities on your Disney cruise ship. Offer applies to specific categories in the chart above, based on availability (excludes Suites and Categories with Restrictions). Be advised that at least one (1) adult member on the reservation will need to provide proof of Canadian residency at check-in, such as a Canadian Driver’s License, Canadian Province Identification or Canadian Passport. The offer is based on availability and category/occupancy restrictions may apply. Government Taxes/Fees and Port Expenses and port adventures are not included. Changes to the sail/vacation date and/or category may result in a loss of the offer. Standard cancellation and service fees apply. Disney Visa Card onboard perks! Receive 10% off a Castaway Cay Getaway Package and enjoy snorkeling, bicycle rental, float, or inner-tube rental on Castaway Cay. Valid on port days ony. When you check-in online or onboard at Guest Relations, enter your Disney Visa Card as your form of payment for all onboard purchases. When you arrive at the ship, your "Key to the World" card will indicate that you are a Disney Visa Cardmember and eligible for the following onboard perks. Cardmember perks cannot be combined with any other offers or discounts, including Cast Member, Annual Passholder, Disney Vacation Club, Florida resident, etc. No discounts this week. Please check back. No discounts this week. Please check back. No discounts this week. Please check back. All rates valid for the stateroom category mentioned above and are applicable to the first two occupants of the stateroom. Single travelers will be subject to an additional pro-rated charge. *Other stateroom categories may be available at other rates. Children's rates are also available for Guests ages 3-12 traveling with 2 adults in the same stateroom. **Based on double occupancy. Based on availability, certain restrictions apply. Proof of Florida residency is required for at least one adult member on the reservation within 48 hours of booking. Price does not include govt. fees/taxes or fuel surcharge. There may be other dates available. Be sure to ask when submitting a request. U.S. Military Personnel can now experience a magical Disney cruise vacation for less. These rates are valid through 4/28/2019. Military rates may also be available on other dates. *Other stateroom categories may be available at other rates. Rates based on double occupancy. Occupancy restrictions may apply. Government Taxes and Fees and excursions are not included. See Disney Cruise Line® brochure for details and applicable terms and conditions. Other discounts do not apply. Only one discount may be used at a time. Rates in U.S. dollars. There may be other dates available. Be sure to ask when submitting a request. Special Military rates are available to all retired and active U.S. Military personnel (or spouse), including U.S. Air Force, U.S. Army, U.S. Marines, U.S Navy, U.S. Coast Guard, U.S. National Guard, U.S. Army Reserve and U.S. Department of Defense personnel. Active and retired members (or spouse) of the U.S. military must provide valid identification at time of check-in(see below for more information). This offer is limited to one stateroom per military member, per sailing. A U.S. Military service member (or spouse) is required to sail to take advantage of this offer. Activated members (or spouse) of the U.S. National Guard or the U.S. Army Reserve must also show active duty orders (active duty papers must be dated as of January 1st of the previous year to qualify). Active and retired members (or spouse) of the U.S. military must provide valid identification at time of check-in. The following are eligible for the Military rate:* Air Force, Marines, Army (including Army National Guard), Navy, Coast Guard * Reservists (for all branches listed above) * Department of Defense, which includes: (CIA, National Security Agency, Secret Service, Family members classified as “active deceased, Department of Health and Human Service, 100% permanently disabled). There are currently no discounts for kids available.